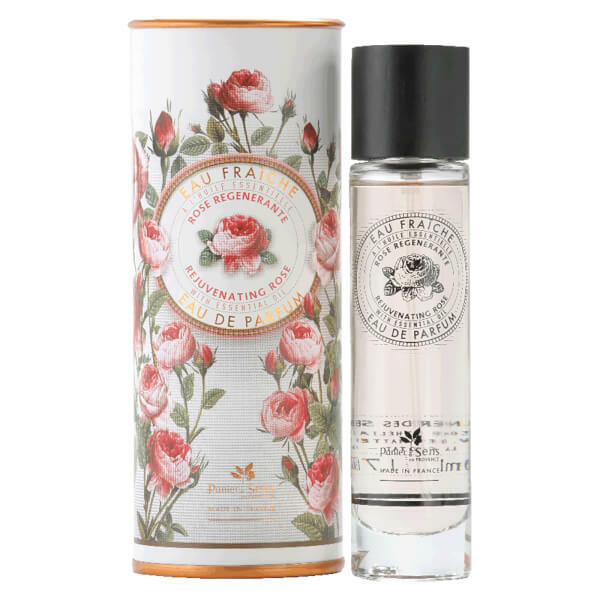 Transport yourself to a summer meadow with Panier des Sens The Essentials Rejuvenating Rose Eau de Parfum, a fresh and feminine fragrance that evokes classic romance. Floral top and heart notes of Lily of the Valley, Rose and Violet instantly boost the mood and uplift the senses, before unfolding into a sensual base of Peach and Cedar Wood. Enriched with Rose Essential Oil, the perfume also boasts skin-toning and calming properties which help to soothe and heal damaged skin. Expect silky-smooth, beautifully scented results. Top Notes: Lily of the Valley. Base Notes: Peach, Cedar Wood. Alcohol Denat. Sd Alcohol 39-C, Aqua (Water), Parfum, Ci 19140 (Yellow 5), Ci 42090 (Blue 1), Ci 17200 (Red 33), Rosa Damascena Flower Oil, Essential Oils, Hydroxyisohexyl 3-Cyclohexene Carboxaldehyde, Hexylcinnamal, Linalool, Alpha-Isomethyl Ionone, Benzyl Salicylate, Limonen, Hydroxycitronellal.